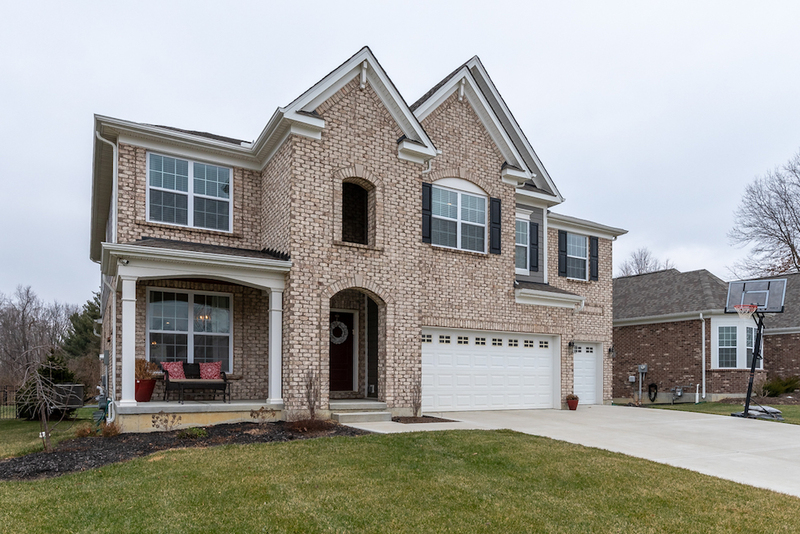 Welcome to 1212 Autumn Run Drive in the upscale and desirable Rivercrest Community, which was the site of 2017 Homerama. 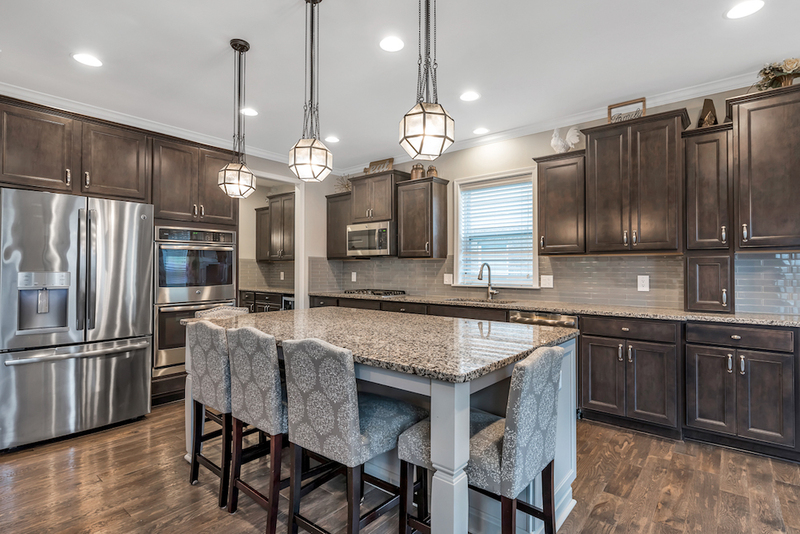 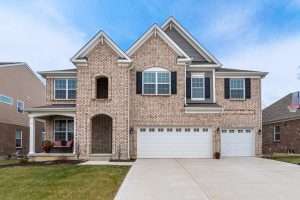 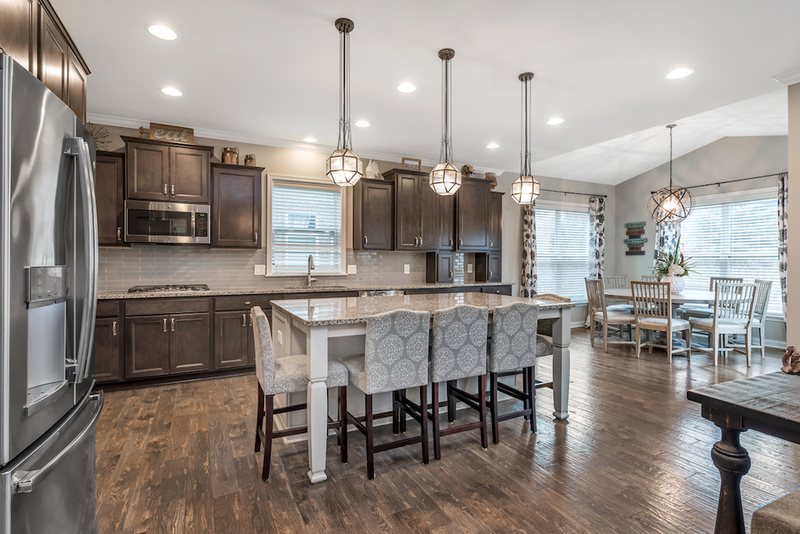 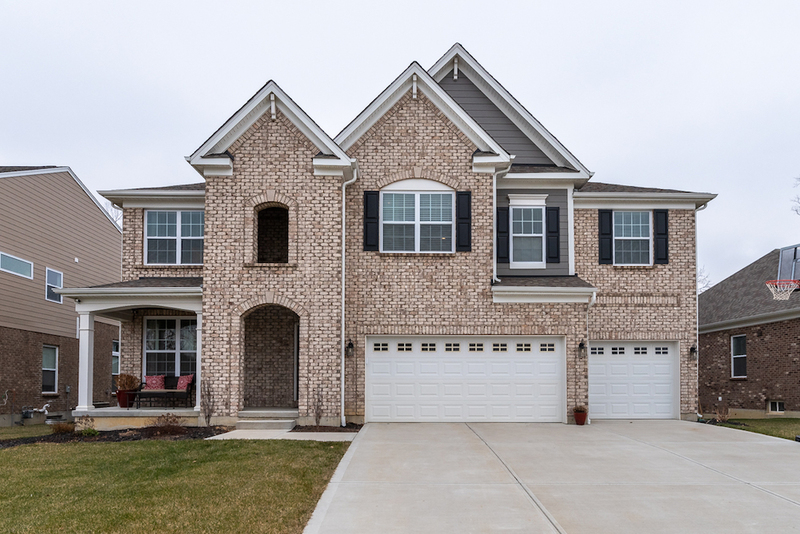 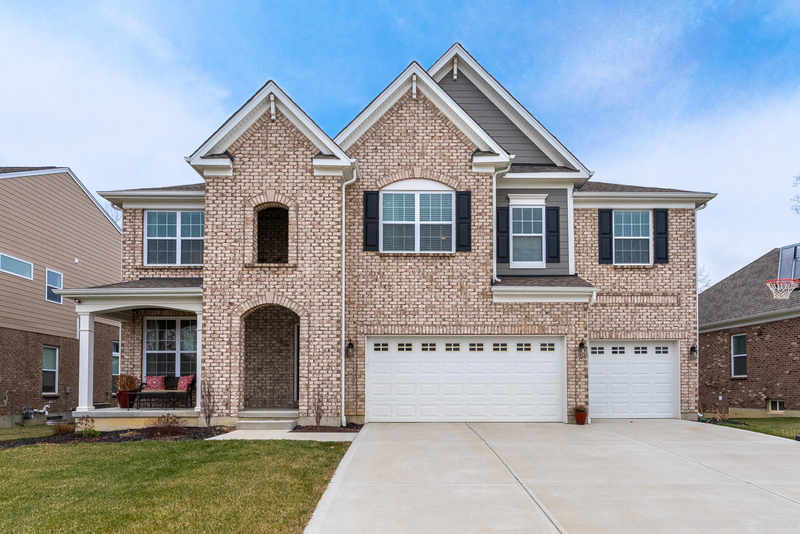 Move right into this 5 bed/3.5 bathroom home new construction home complete with all of the highest end finishes and upgrades available including crown molding, smart technology, and other custom fixtures. 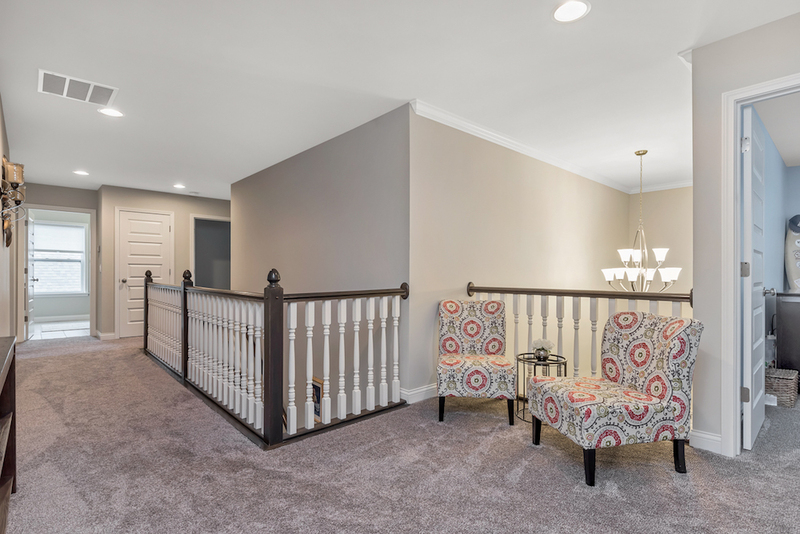 This Nicholas model is in pristine condition as it only two years old and would not be able to be recreated at this price in the current market with the same level of finish. 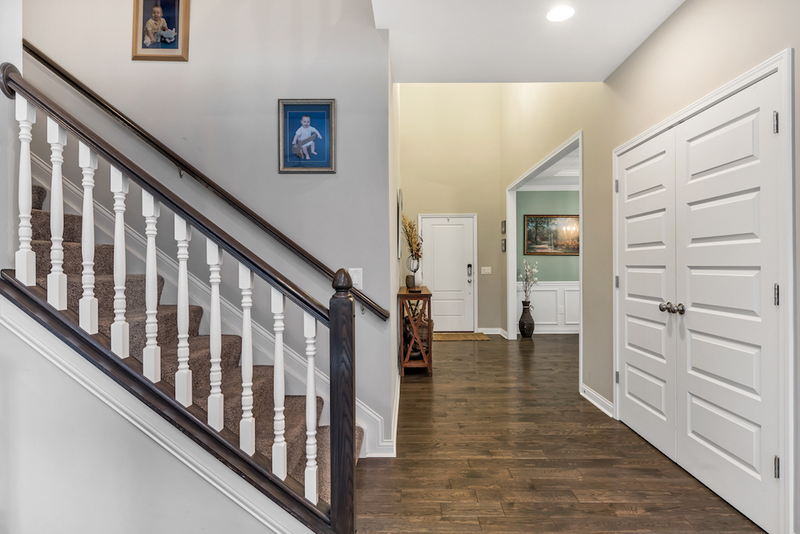 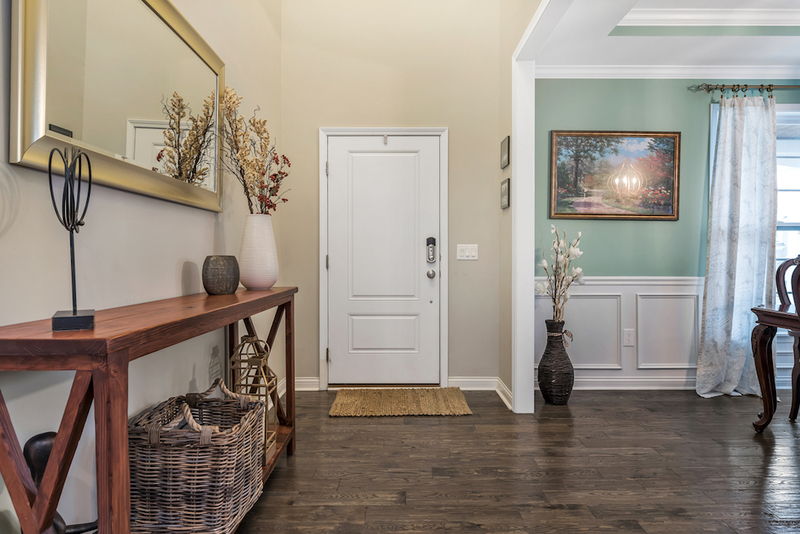 The spacious foyer features 15’ ceilings and beautiful hand-scraped American Oak Hardwood floors throughout the first floor. 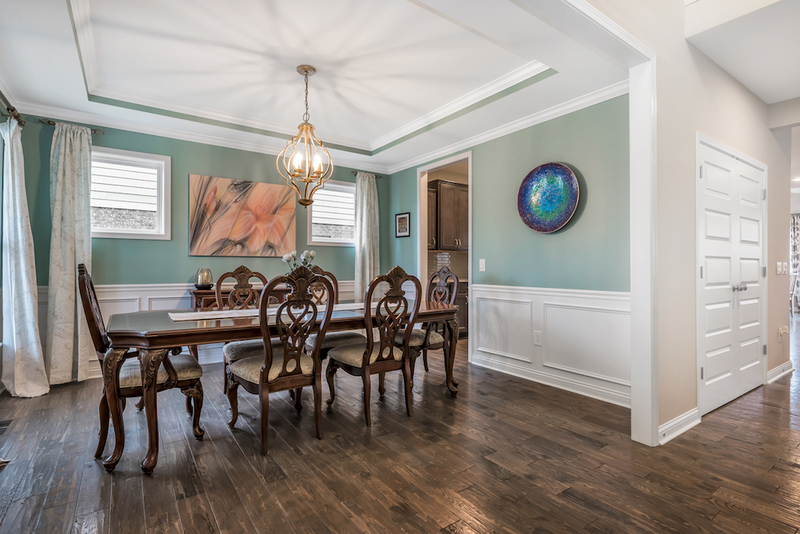 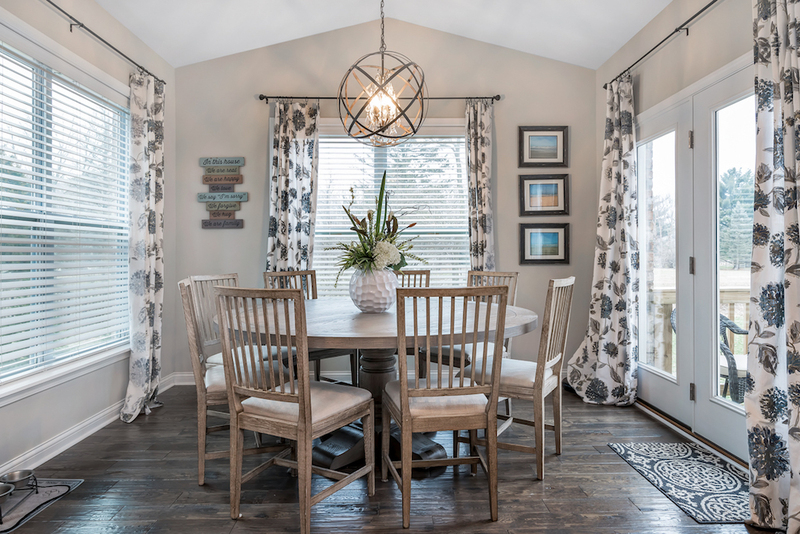 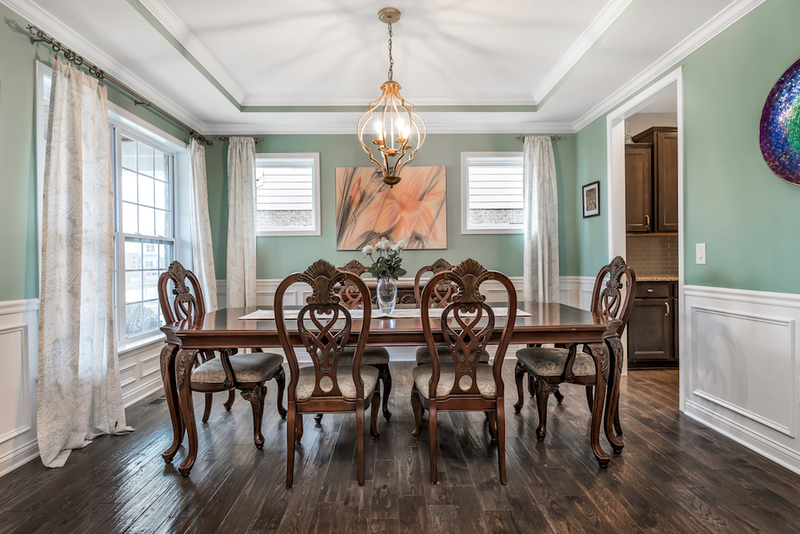 The foyer opens to the large dining room featuring a hand-crafted chandelier and chair rail detailing.The open-concept on the first floor is perfect for entertaining with a the large gourmet kitchen. 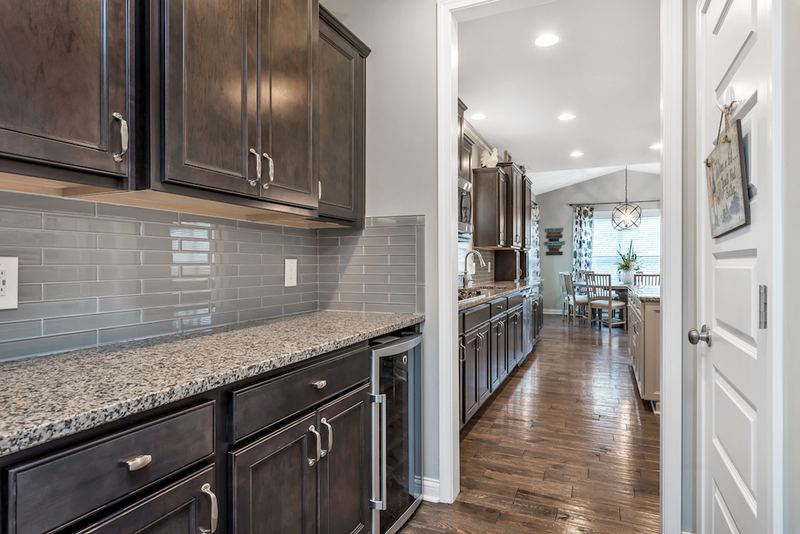 The abundant storage and large island is ideal for the chef of your family and offers space for multiple hands in the kitchen. 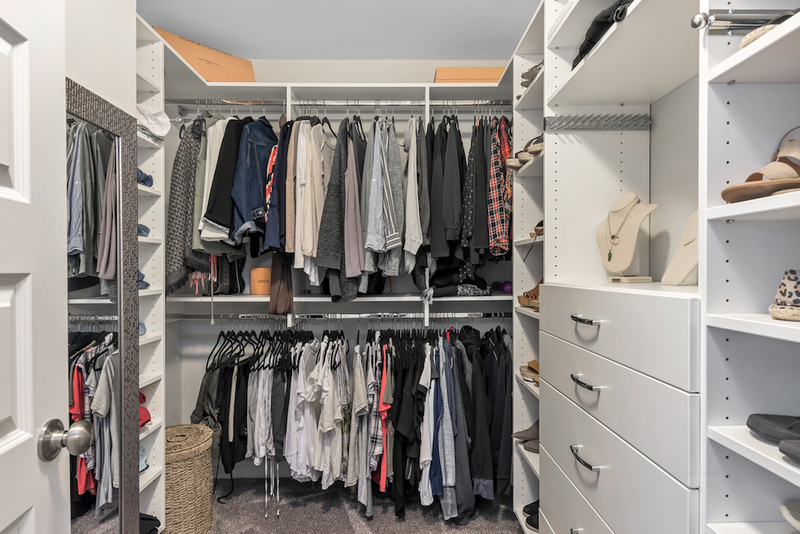 The butler’s pantry has a closet organization system and wine fridge. 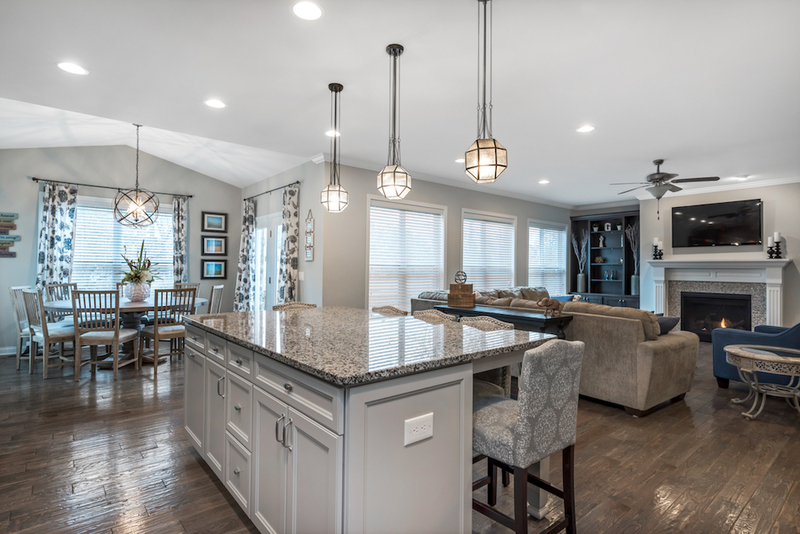 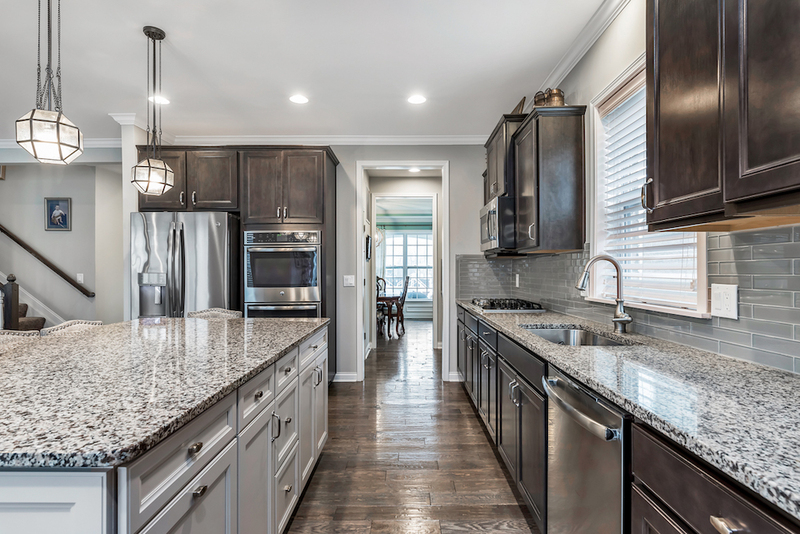 The high-end finishes include beautiful two-tone cabinets, a glass subway tile backsplash, custom light fixtures, top-of-the-line stainless appliances, and flawless granite countertops. 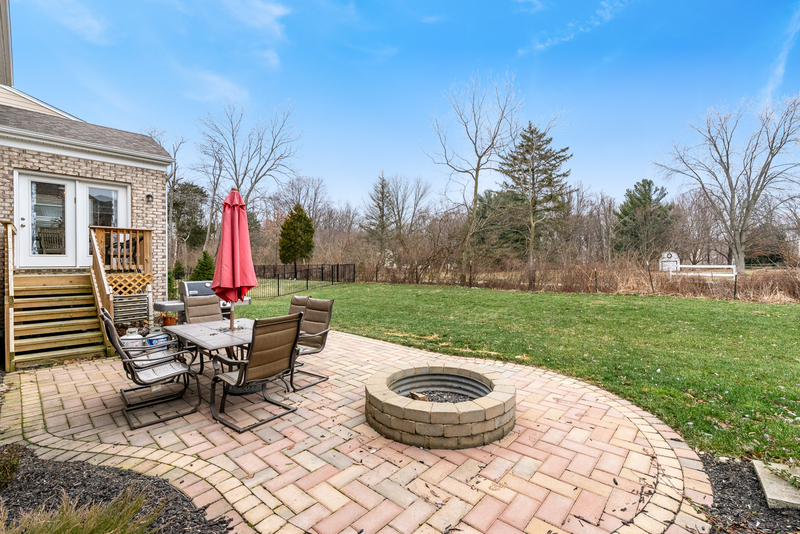 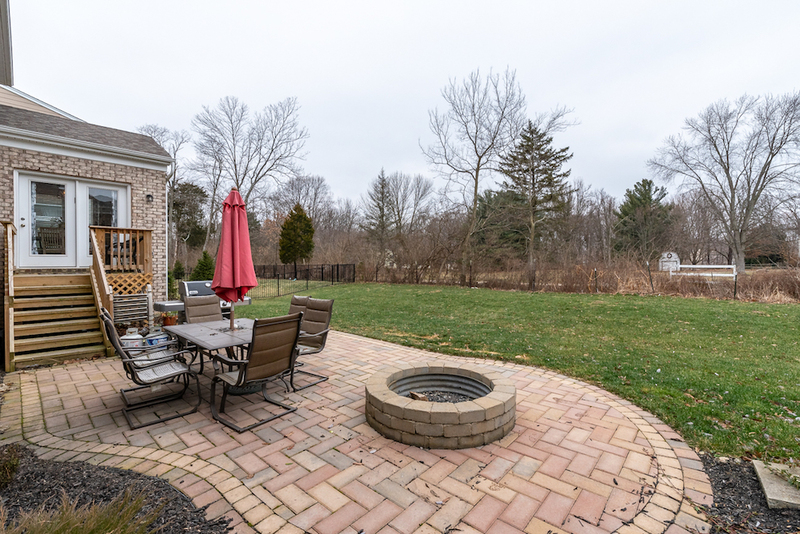 Adjacent to the kitchen is a dedicated morning room overlooking the backyard, patio, and fire pit. 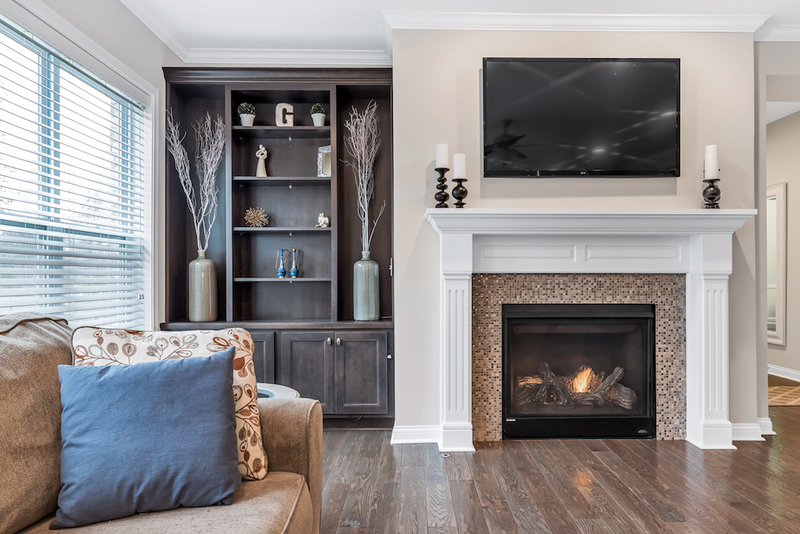 The kitchen is open to the great room featuring built-in shelving and a picturesque gas fireplace, making this the heart of the home. 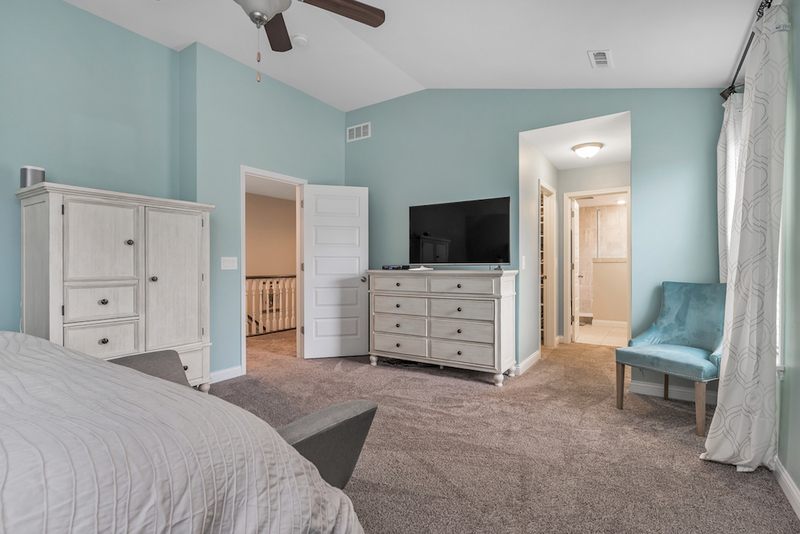 The first floor study is large enough that it could also double as guest room with its large closet. 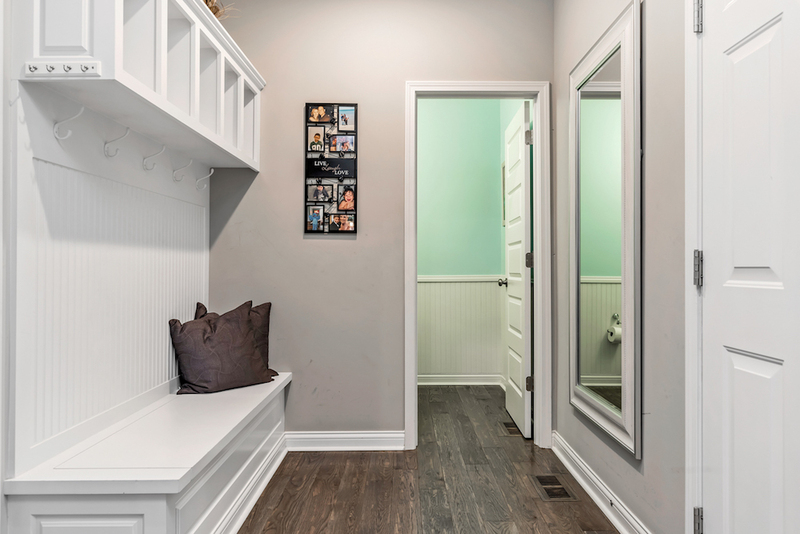 The powder room is complete with wainscotting and marble countertop.There is a mud area with built-in storage off the garage to place any shoes and jackets for those on-the-go. 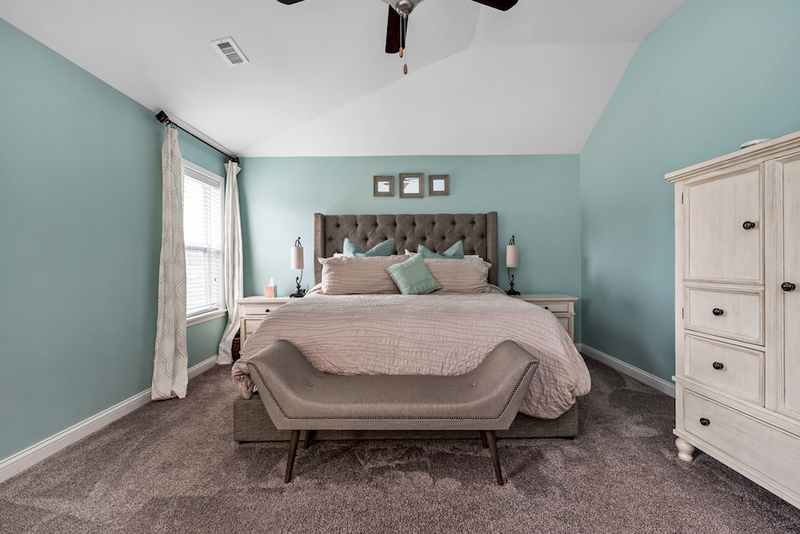 The spacious master suite includes abundant natural light, vaulted ceilings, a walk-in closet with organization system, and a luxurious ensuite bathroom. 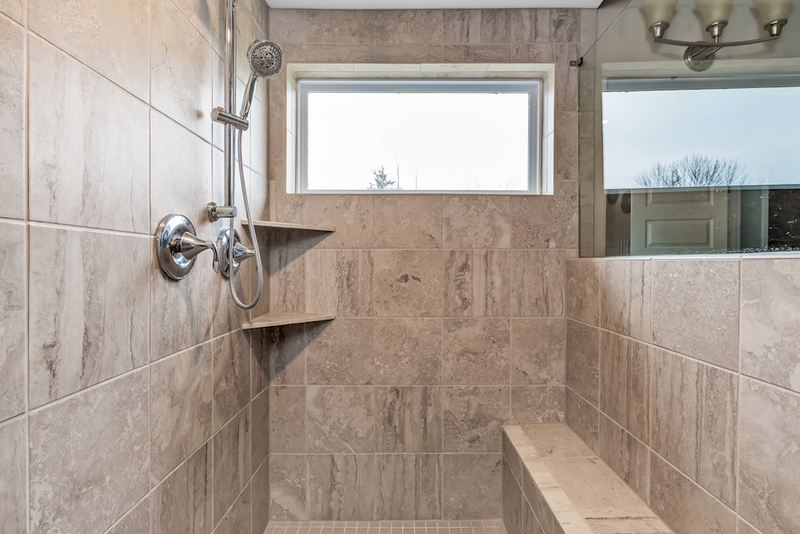 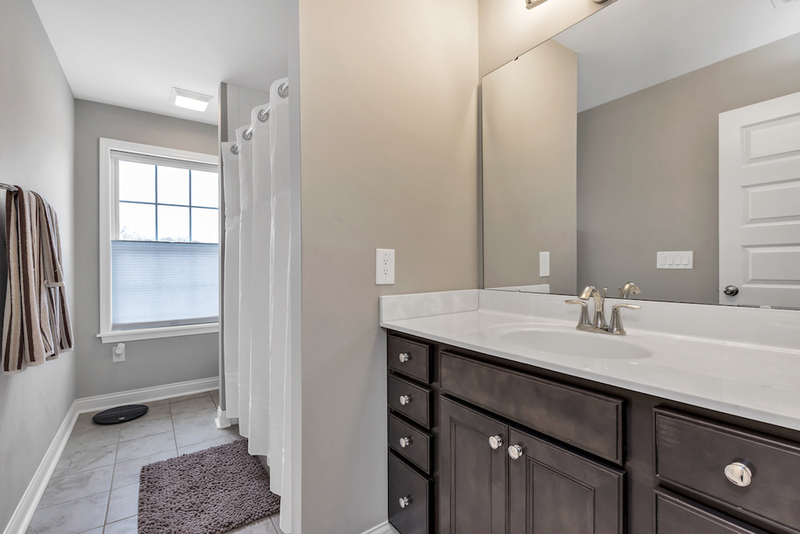 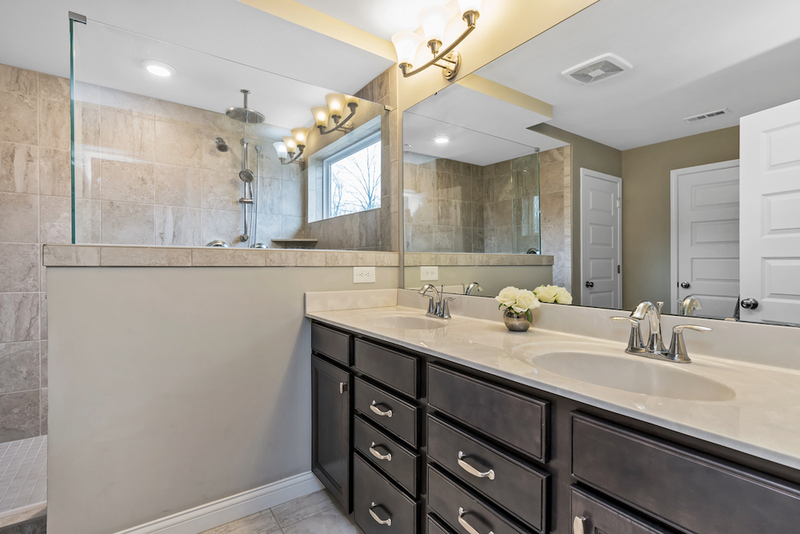 This bathroom includes an upgraded tile floor, a double vanity, an expansive shower with multiple shower heads including a rain shower head, and extra storage space. 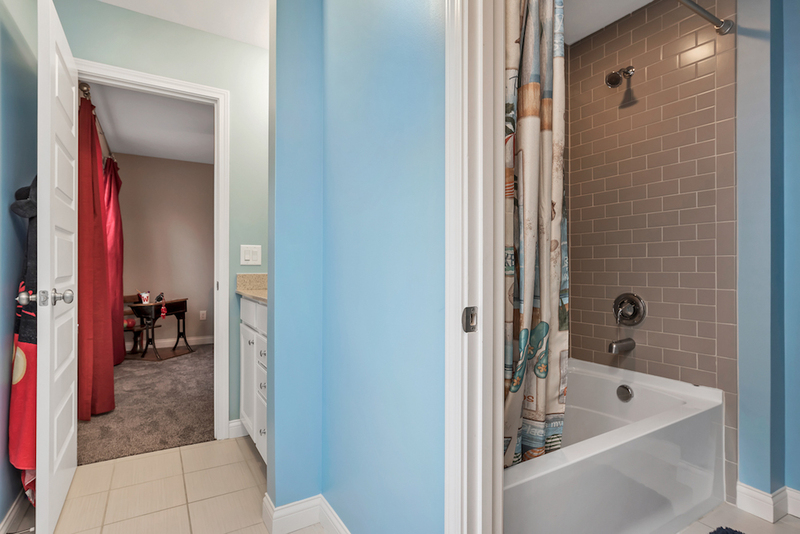 There are two additional full bathrooms on the second floor including a Jack and Jill style. 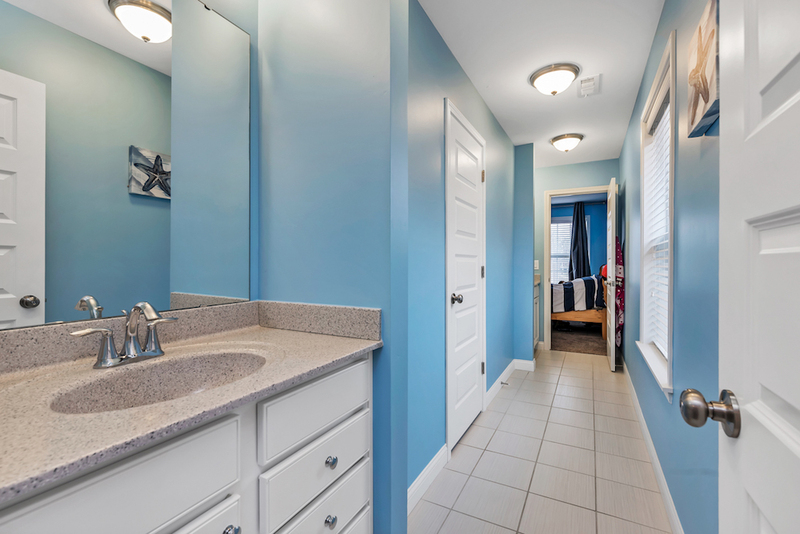 There is even two separate vanity spaces for each attached bedroom. 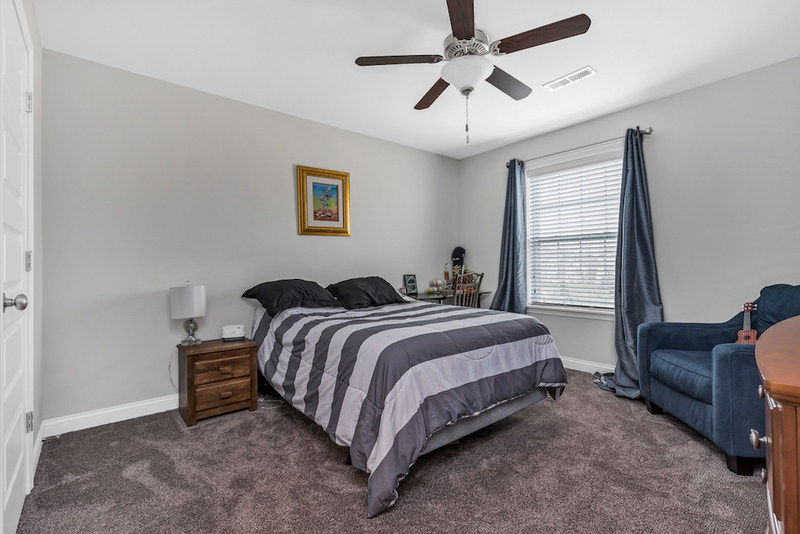 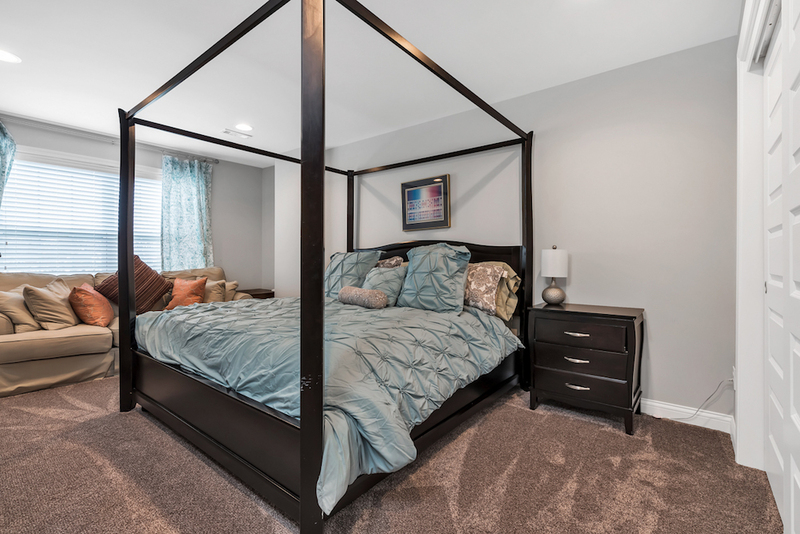 All the bedrooms include spacious closets and window treatments. 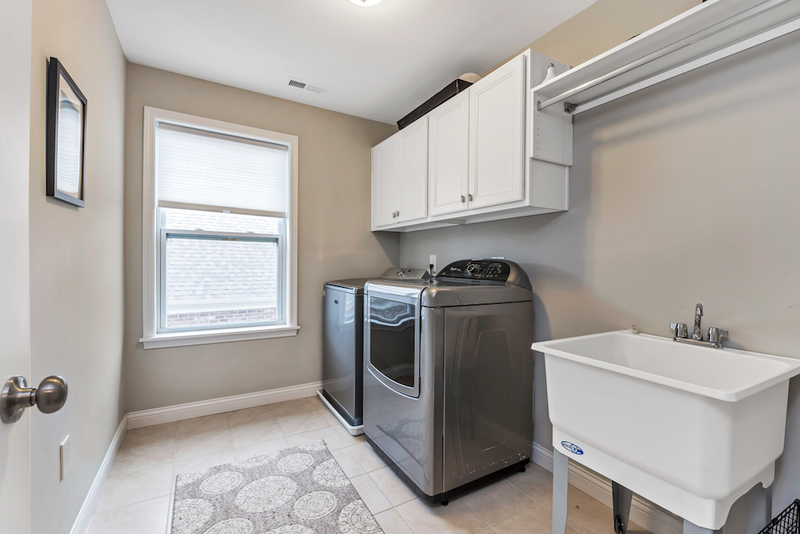 The laundry room is located on the second floor with plenty of storage. 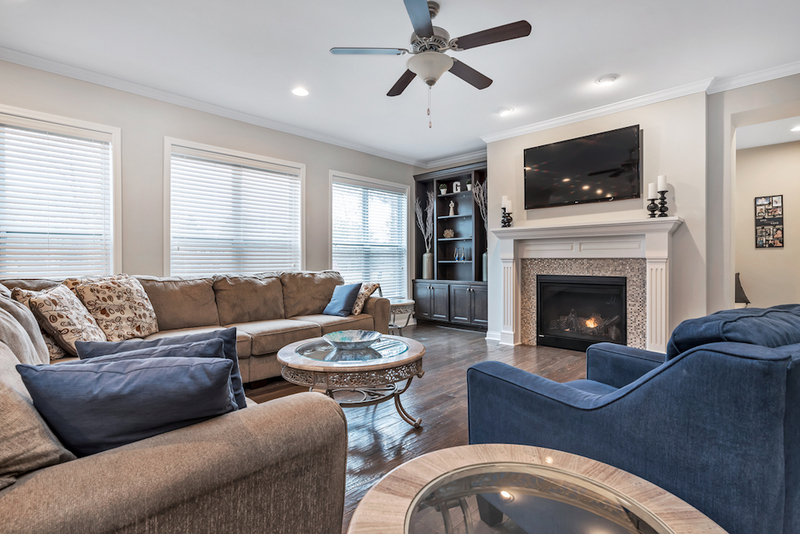 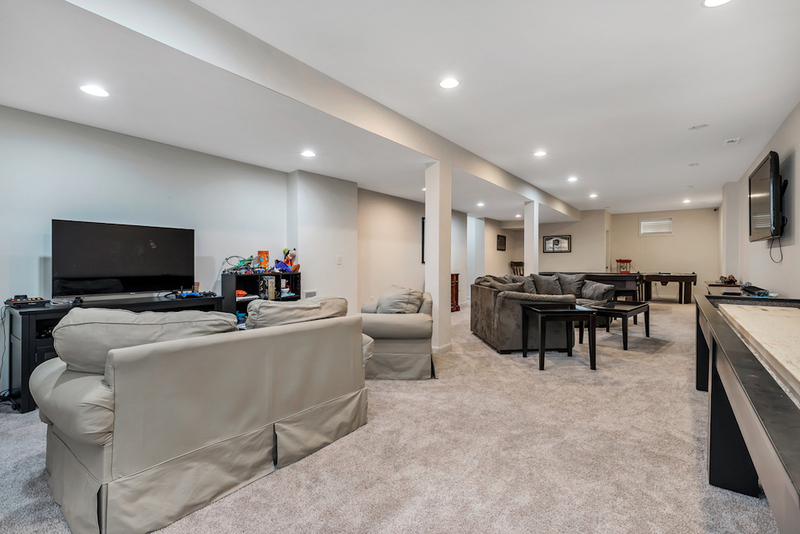 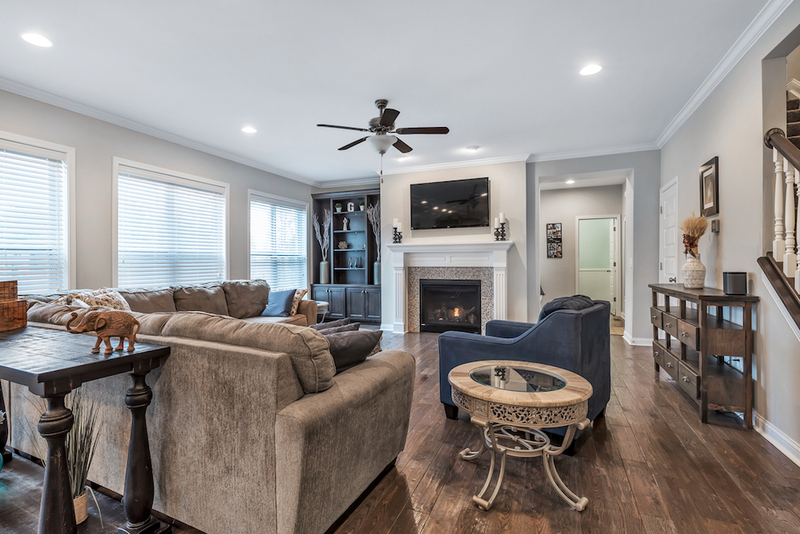 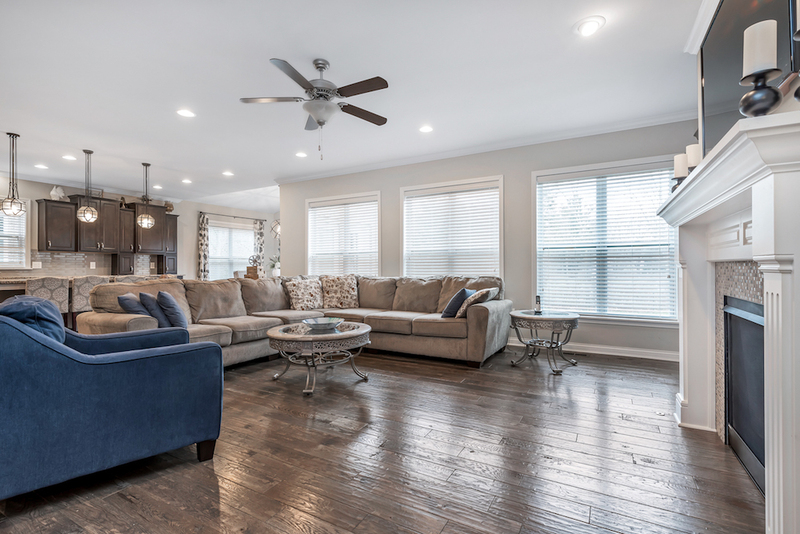 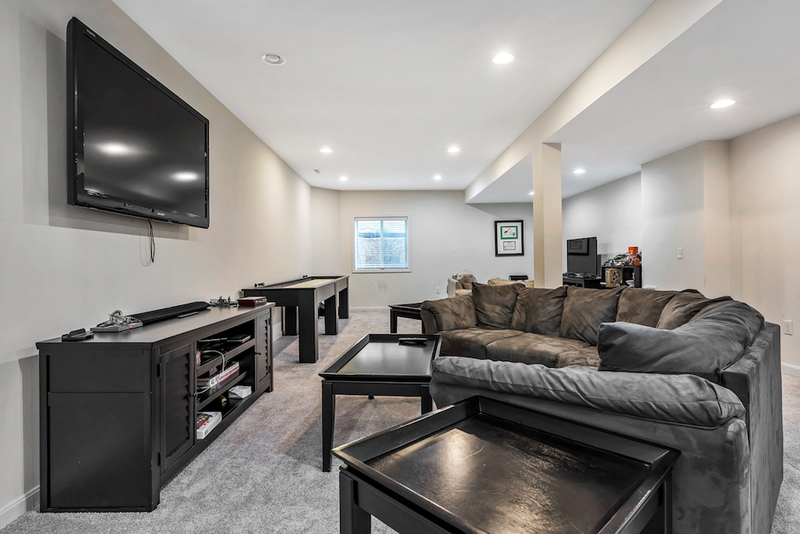 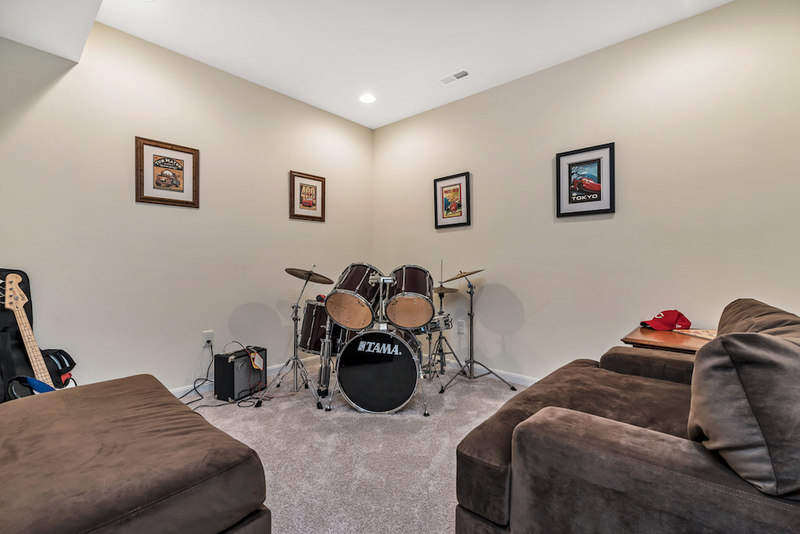 The finished lower level features 9’ ceilings providing a large family room space as well as a bonus recreation space that is currently being utilized as a music room. 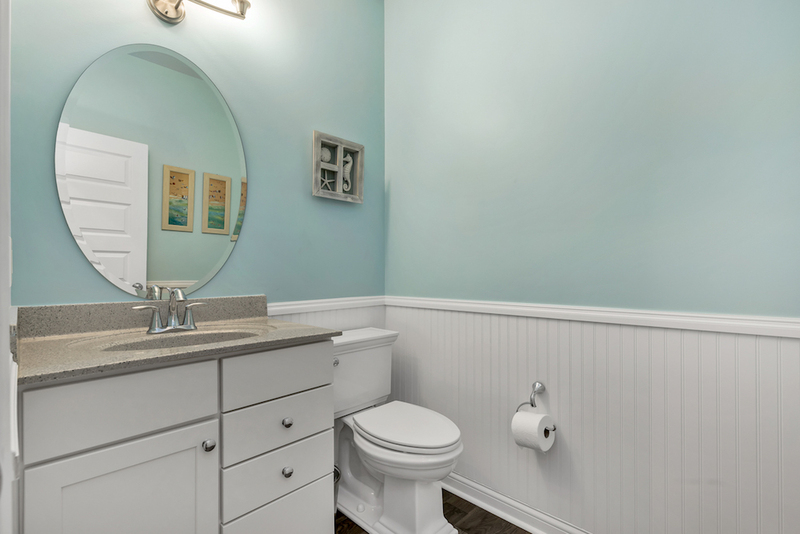 There is a bathroom rough-in as well as unfinished space that can be used for storage. 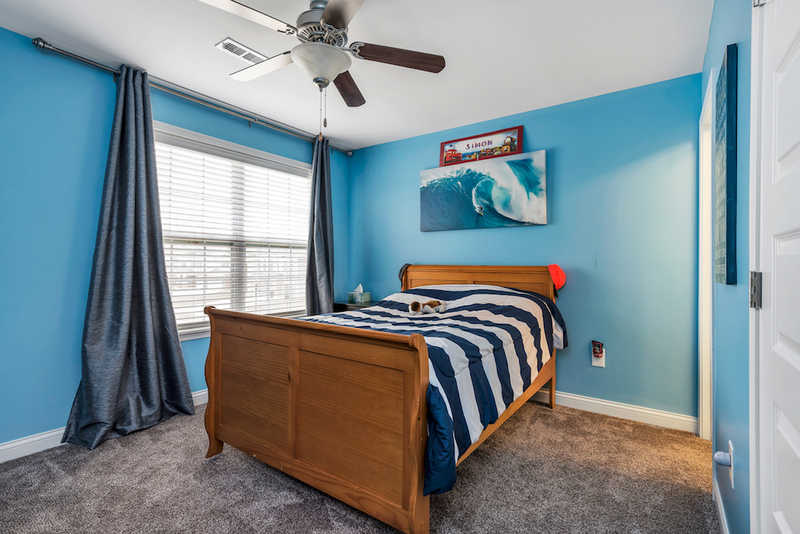 This home is located in the Rivercrest Community (Kings School District) which boasts a state-of-the-art clubhouse with a community pool, stocked pond, 50 acres of green space, and sidewalks lit by street lamps for evening walks. 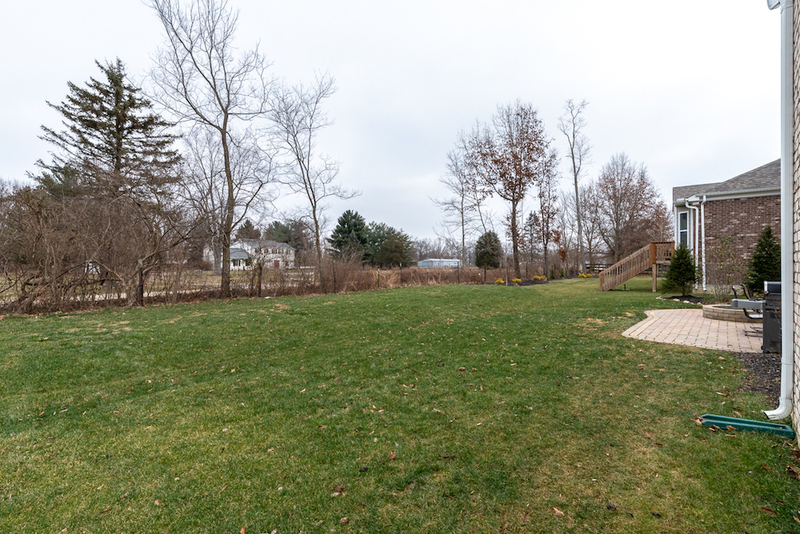 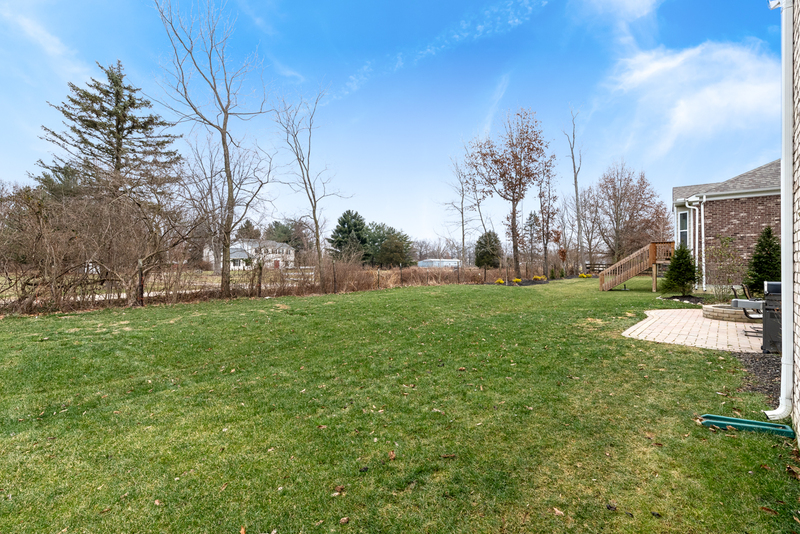 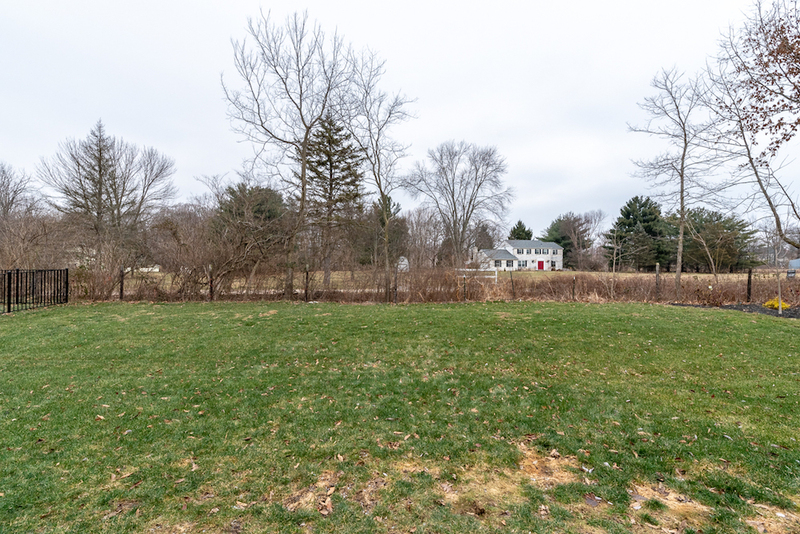 Just two blocks from the Little Miami River and Bike Trail, it will be easier than ever to stay active and connect with nature. 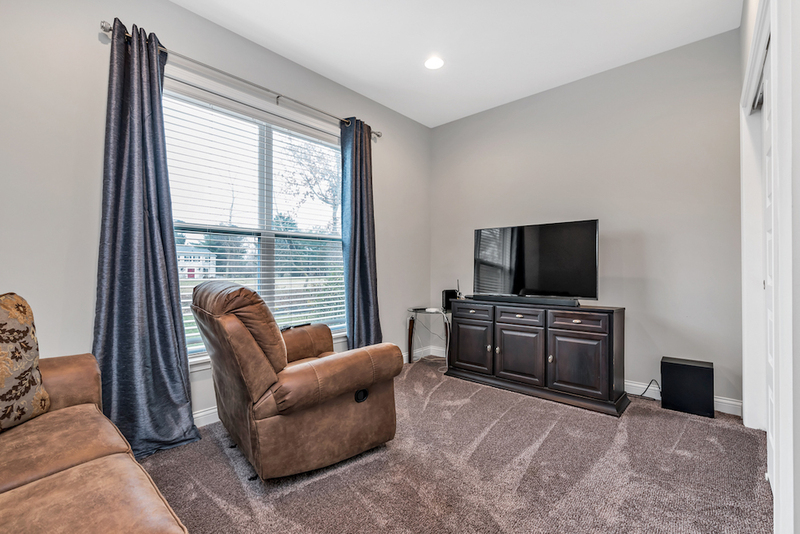 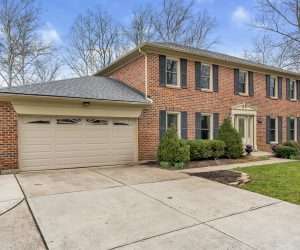 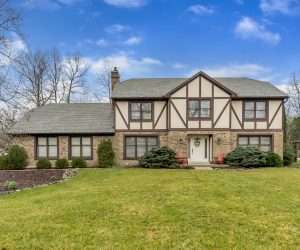 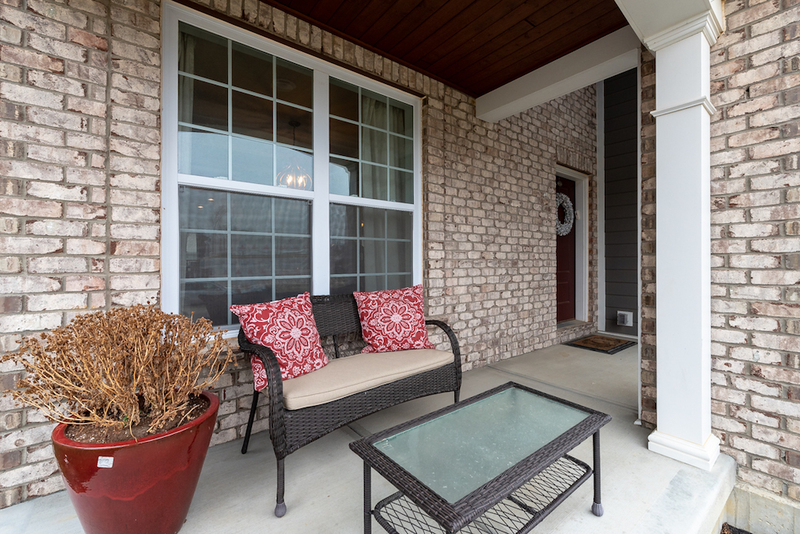 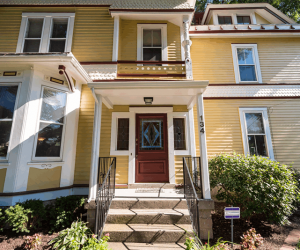 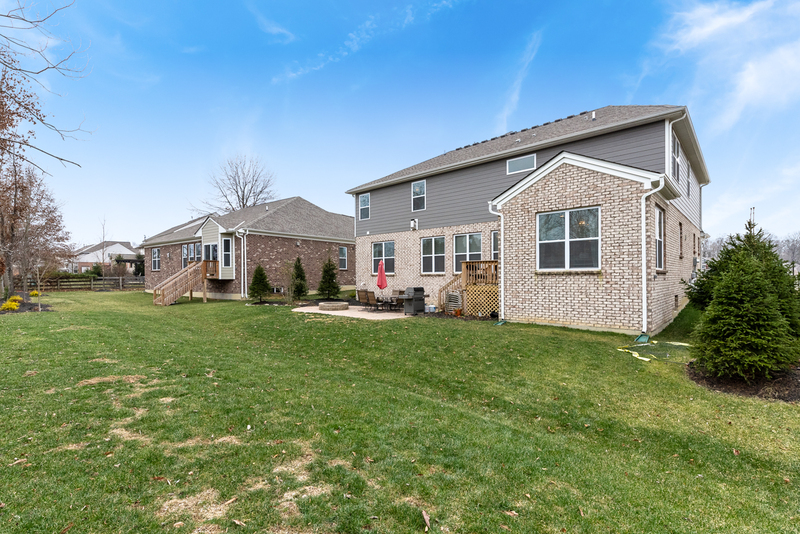 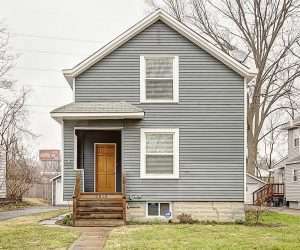 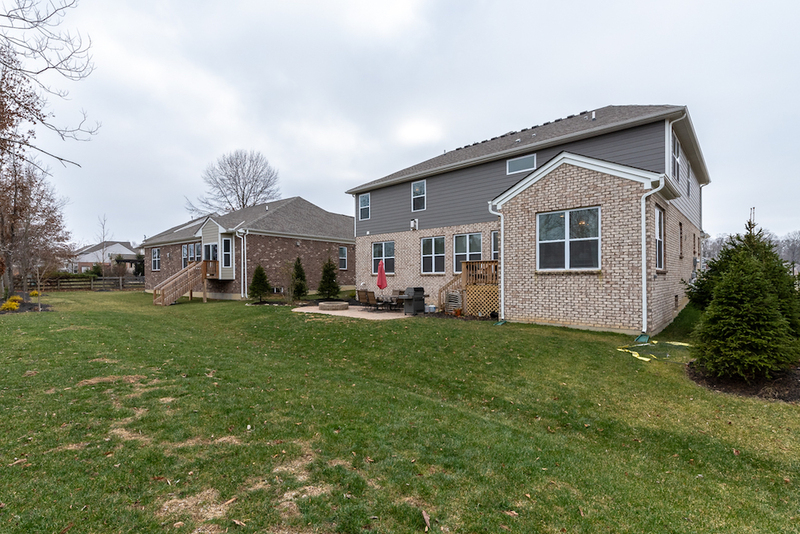 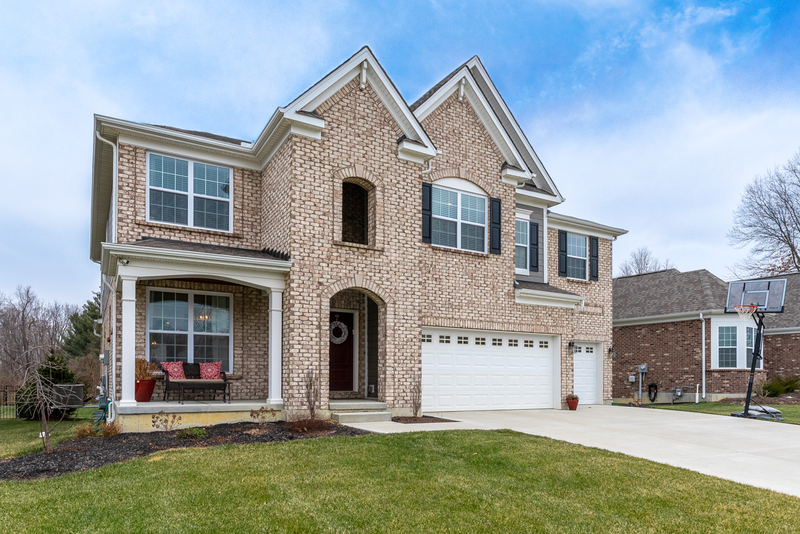 Conveniently located minutes from I-71 and I-275 which makes commutes all directions quick and accessible.